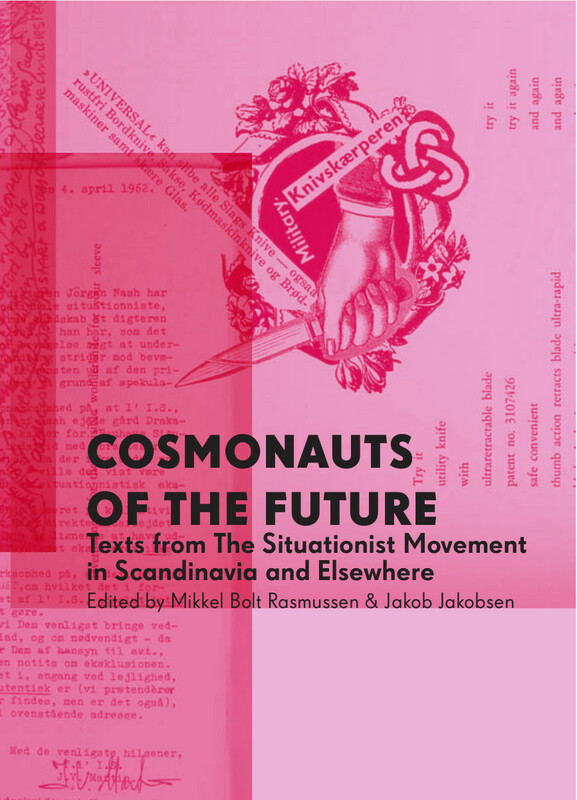 “This is the first ever English-language anthology collecting texts and documents from the still little-known Scandinavian part of the Situationist movement. The book covers over three decades of writing, from Asger Jorn’s Luck and Chance published in 1953, to the statements of the Situationist Antinational set up by Jens Jørgen Thorsen and J.V. Martin in 1974. The writings collected gravitate around the year 1962 when the Situationist movement went through it’s most dynamic and critical moments, and the disagreements about the relationship between art and politics came to a culmination, resulting in exclusions and the split of the Situationist International. The Situationists did not win, and the almost forgotten Scandinavian fractions even less so. The book broadens the understanding of the Situationist movement by bringing into view the wild and unruly activities of the Scandinavian fractions of the organisation and the more artistic, experimental, and actionist attitude that characterised them. They did, nevertheless, constitute a decisive break with the ruling socio-economic order through their project of bringing into being new forms of life. Only an analysis of the multifaceted and often contradictory Situationist revolution will allow us to break away from the dull contemplation of yet another document of Debord’s archive or yet another drawing by Jorn. Texts by Asger Jorn, Jørgen Nash, Jens Jørgen Thorsen, Bauhaus Situationniste, Jacqueline de Jong, Gordon Fazakerley, Gruppe SPUR, Dieter Kunzelman, J.V. Martin, and Guy Debord. This book can be freely pirated and quoted except for the texts covered by copyrights. See also Bolt, Jakobsen (eds. ), Expect Anything Fear Nothing: The Situationist Movement in Scandinavia and Elsewhere, 2011.